Listed below you will find species of geckos that Julie is working with currently or has worked with in the past. These are their scientific names, with the common name in parenthesis. Please note that common names could have been used to describe several varying species therefore it's important to learn the right scientific name of the gecko(s) you are interested in. 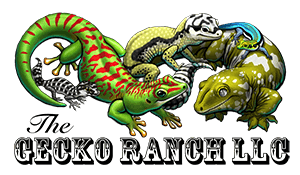 Julie and Gecko Ranch want you to understand how important it is to know exactly what species of gecko you are interested in learning about/acquiring. The more informed you are about the exact gecko you want, the higher the success rate of having a happy, healthy, long-living pet. Species in the genus Phelsuma are commonly referred to as day geckos.